28th April is the day we all draw stumps and its only 3 days away!! There are 10 fixtures scheduled [5 in u9s, 1 u11 and 4 u13] Lets hope it gets a little warmer! A reminder for clubs to make sure any new players are properly registered with their clubs and with UAJCA. UAJCA is delighted to announce that entries for the UAJCA Festival on 16th June are now closed. All max 30 places are now filled. So all three age-groups will have two groups of 5 and a group programme of 4 matches each, with group winners progressing to the final. The Easter programme of Regional matches was blessed with good weather but early results all went against all 4 West Yorkshire teams. But it wasn't all doom and gloom for UAJCA contributors. Pride of place must go to Muhammed Abbass [GHC] with 4-26 in the 3-run defeat by North in a match of 550 runs. 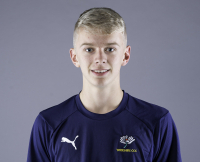 Jack Luxton [Steeton] also took 1 wicket. 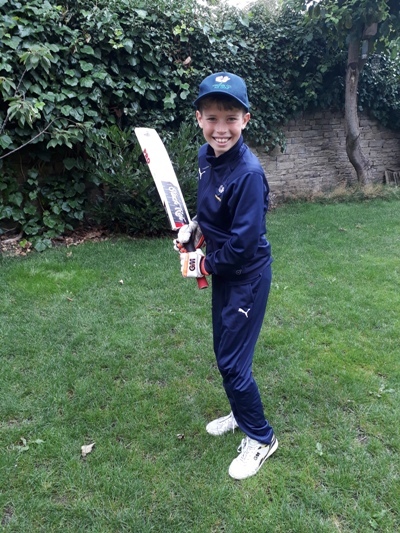 At under-10 Crossflatts youngster Archie Ward finished top-scorer on 27 batting at number 8 in the 4-wicker u-10 loss to South. The next round of fixtures comes up next Sunday. A low-scoring under-12 match had Embsay's Archie Phillipson opening the batting and making 7 runs. New managers Neil Bishop [Haworth] and Steve Powell [Oakworth] have arranged an outdoor selection trial at Oxenhope CC outdoor nets on Sunday 28th April [1:15pm] to determine the squad make up and prepare for the first match which is on Sunday 9th June at home [Steeton CC] to neighbours Aire-Wharfe. Organisers of the cycling Tour De Yorkshire [TDY] have now announced the stage timings for Sunday 5th May. The The fourth stage arrives in the Worth Valley at Oxenhope [Leeming] at 1:05pm then goes on to Haworth at 1:10pm, Oakworth at 1:14pm, Cote de Goose Eye at 1:20pm and Sutton at 1:24pm. UAJCA Fixtures are planned at Oakworth & Haworth [under-9], Oxenhope and Sutton [u13]. Clubs may wish to consider a slightly earlier start to ensure all are clear of the peleton and participants can travel away from matches without undue delays; and/or watch the race. The 2019 UAJCA Representative team trials took place at South Craven School Sports Hall on Sunday 7th April. Many thanks to coaches; Richard P, Stu, Ji, Jon, Mark, Richard C and Alistair. Squad players will be announced by Friday 12th April. UAJCA is now in receipt of the fixtures for the 2019 under-9 Yorkshire Festival. For more see UAJCA under-9s page. A new UAJCA Representative team kit for under-9s is launched this season. The 'sublimated'-design will feature R N Wooler sponsors logo alongside UAJCA and Black Rat logos. The kit which includes shirt, jumper, cap, training top and shorts, will save parents money and hopefully present our under-9s in a fresh new light. 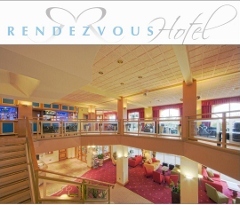 Click HERE to have a look. UAJCA members have voted to bring our clubs into line with other leagues, by allowing Girls to play up to TWO years beyond the boys age limit. This is welcomed as a boost to generation of recruitment of more girls. UAJCA members have been appraised of recent changes to the Play-Cricket registration process, arising from GDPR legislation. The major change from ECB, as advised by their lawyers, is that players under-16 may only be registered as an adjunct to a parental registration. A requirement is that parents must register on the system to facilitate communications between clubs, leagues and parents. Help documents are available to read on the Play-Cricket Admin site for club Main Administrators. The UAJCA pre-season meeting welcomed five clubs commitment to under-17 cricket for the 2019 season. Defending triple-Champions Skipton along with Steeton, Bradford & Bingley, Oakworth and late decision from Great Horton Church have resulted in a 5-team league with 8 fixtures. The William Spencer Cup will also continue. Following success of Scorer Road-shows in 2018, ECB ACO are to offer a second round of similar road-shows for Spring 2019. Facts & figures about scoring via Play Cricket in 2018. The new scoring features in Play Cricket Scorer Pro version 2. A chance to meet scorers from your area and talk scoring. This an exciting time for scorers and a great opportunity to come along and get involved. We will also keep you up to date with the latest information relating to scoring so please register for your chosen event below. Manager Neil Bishop and Coach Ji Mukherjee are currently discussing which of the girls group have reached the standard required and should be nominated. Sachin Khurana at Turf India of New Delhi has informed UAJCA of their changed 2019 itinerary, which has grown and changed significantly. They arrive in Bradford around 3:00pm on Wednesday 19th June and will be moving on the following day to the Hymers College Festival. So he has asked if we could arrange 3 matches on that same evening, again close to Bradford to reduce travel. They are seeking matches at u-10, u-12 and u-14. UAJCA is now advised that the committee responsible for the Yorkshire Junior Cricket Festival, have now determined to adopt the new ECB pitch length recommendations. This comes in addition to the earlier decision by the Yorkshire Regional competition and Pathways Coaching administrators to also adopt the new lengths. As UAJCA participates in the YJCF, our representative players will play to the new lengths in all their matches. The 2019 UAJCA AGM Thursday was held on 7th February 2019 UAJCA at Sutton-in-Craven CC. Key decisions taken included the en-bloc re-election of officers. This year Harden CC were admitted to UAJCA with a return from Haworth CC. The Association was delighted to report the retention of support from Keighley-based construction company, R N Wooler for a third year. UAJCA members thanked Ben Holderness for his service as team-manager and coach over recent seasons and wished him well with his YCB coaching activities and good luck at his new club. Richard Craddock [Earby CC] was welcomed as the new under-9s manager. The winter Academy and a Girls Coaching course are both currently in progress. The Association confirmed its under-9 cricket competition will be 8-aside in 2019, however a decision on the level of protective equipment to be adopted was deferred to the March meeting until advice from the YCB Welfare Officer is obtained. The new ECB pitch lengths proposal led to an extended debate with the under-13 age-group of principal concern. Advice from the Welfare Officer should also enable a decision in March. Clubs indicated their provisional team entries for 2019 which totalled 53 [up 2] allowing for estimates for those clubs not present. However there is concern at the entry of only 4 teams for the under-17 competition. Cup Final host aspirants are Wilsden, Settle, Skipton & Steeton. Selection will be at the March meeting. The UAJCA Constitution and Rule Book is out of date, and an EGM will precede the March meeting in order to rectify the regulations. The next meeting will be held on Thursday 14th March; 7:30pm at Sutton-in-Craven CC. Girls team manager Neil Bishop reports a terrific turn out of 20 UAJCA girls at the first session of the NYWGCA coaching course at Sandylands Centre, Skipton. Still places if you're hovering! UAJCA is grateful for the support and input from Mark Jobling and the NYWGCA in establishing a second centre at Skipton. UAJCA is pleased to announce the popular Winter Academy at South Craven Sports Hall [now fully booked with 32 students] commences from Friday 25th January until Friday 5th April, ie 10 weeks [exc Friday 22nd February, half-term]. The course runs from 7pm to 9pm, providing 20 hours of first class training for developing cricketers. Students include those who have played Representative cricket this year and those who have shown high performance levels in UAJCA league competitions. Once again the course will be conducted by Pro Coach Yorkshire Cricket [PCYC]. 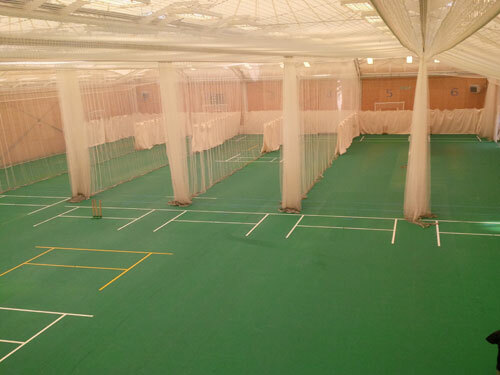 UAJCA is pleased to report that the popular Winter Academy at South Craven Sports Hall is now fully booked [32 students] with a short-list waiting of 4 further players. The UAJCA Academy in 2019 is to be held for 10 weeks between Friday 25th January and Friday 5th April [exc Friday 22nd February, half-term]. UAJCA can proudly state it has provided cricket opportunity for the top player in Yorkshire and the best player in Lancashire in the same year!! UAJCA acclaims the successes of two of its players, who have both been awarded places within the Yorkshire County team structure. 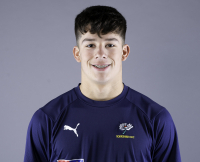 To his right is James Mukherjee [Skipton CC] who now has a place at the Yorkshire Academy following his stint with the EPP and County Age Group appearances in 2018, despite being injured for a while. We're very proud of you both, lads. We wish you all the best in your quest in higher status cricket. Fly the UAJCA flag!! Coming in addition to the earlier report about Joe Birks and Archie Phillipson, YCB now announce that Steeton's Will Luxton is awarded 'Outstanding Player across all age-groups'. 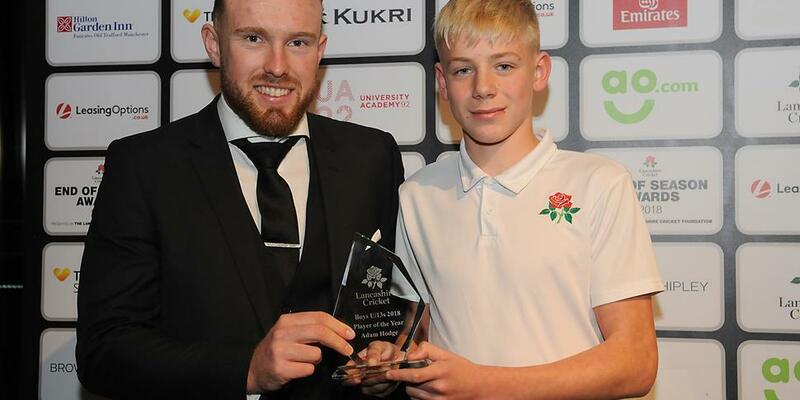 His 122 against Lancashire was the u15 Performance of the Year and Will was also named the Batsman of the Year. Fantastic news for Will, coming after his appearance at the Bunbury for North of England. The accolades are well deserved. 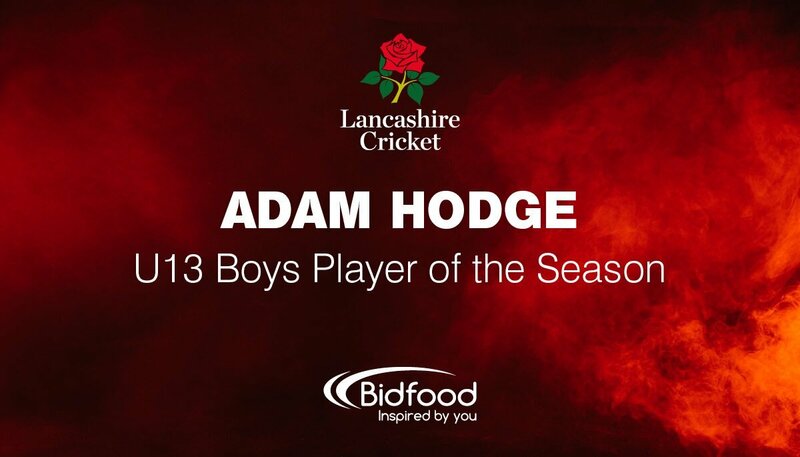 Lachlan Doidge [Bradford & Bingley] is also the u13 All-rounder and Fielder of the Year. Former UAJCA player Kyle Welsh is also in the honours with the u15 Development Batsman of the Year. Very well done to both lads on your performances and bring a little honour to your Upper Airedale roots. Skipton's Joe Birks was this years county under-10 Batting Prize winner after a great season at the top of the order. He was joined by Embsay's Archie Phillipson [right] who shared the under-11 fielding prize for his live-wire work in the field. The 2019 season is to feature four 'Regions' [North, East, South & West] confirming long-circulated rumours of a replacement for 'District' Cricket. YCB is now seeking to recruit four Regional Convenors for a 12-month paid role. Interviews are to be held on 8th November. Anyone interested please note that Applications with CVs are required by 25th October, to be sent to Jack Stockdale at YCB. Our Annual get-together at the magnificent Malham Suite in the Rendezvous to acclaim all our winners, both team and individual was a huge success with an increased attendance of perhaps 350 players, parents and officials. UAJCA was fortunate to have three guests on the night with Sponsor Gareth Wooler [RN Wooler] joined by Mark Arthur [YCCC] and county first-teamer Harry Brook.